Equip your operation with 24-hour surveillance with the Worksite Hawk, a management efficiency innovation that makes your job easier. The Worksite Hawk might work 24 hours a day, 365 days a year, but it requires almost none of your time. Designed with the needs and demands of the dynamic manger in mind, the Worksite Hawk isn’t just another piece of machinery, but a way to maximize your efficiency on the job. 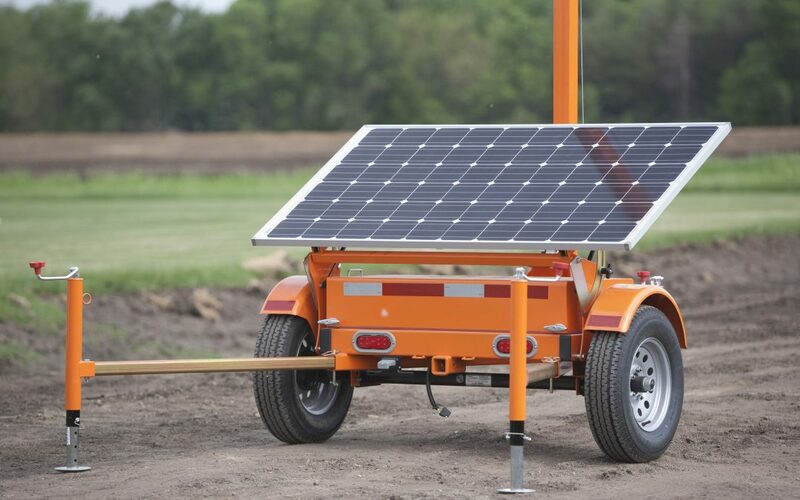 One of the key ways in which the Worksite Hawk makes this happen is with its solar-powered AGM battery bank. Simply set the Worksite Hawk up, turn it on, and watch as it works, no power cords or fuel necessary. Its solar panels absorb sunlight, charging the batteries and allowing it to run continuously without the hassle of maintenance. At full charge, the unit can still run for an astounding nine days or more! This way you can concentrate on utilizing the Worksite Hawk’s numerous security and monitoring features, not worrying about whether or not it works. Contact us for a live FaceTime or Skype demonstration of what the Worksite Hawk can do for you! Call us at 319-415-1226, or email us at sales@CrossroadsMfg.com.